CBTB discusses Nordic Noir with the genre's defining authors and rising stars. 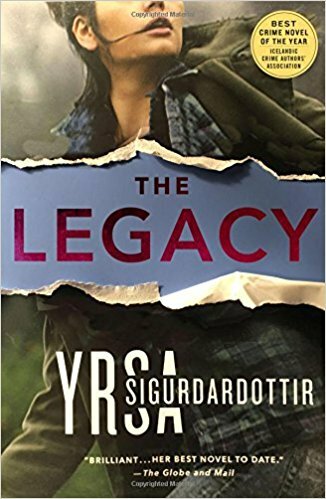 Today (2/13/18) is publication day for THE LEGACY by Yrsa Sigurdardottir, an outstanding crime novel that launches a new series for Iceland’s Queen of Crime in the US! THE LEGACY is an exceptional blend of methodical police procedural and dark, horror-inspired imagination—a potent combination that delivered one of my early-favorite 2018 reads. 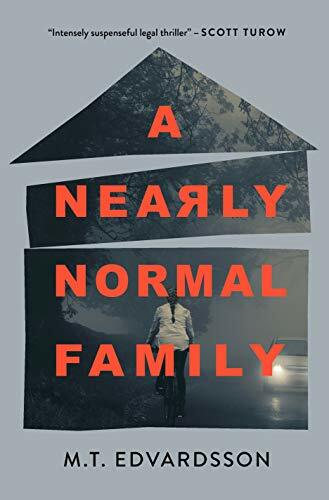 Following a police officer and a psychiatrist who team up to solve a brutal crime, THE LEGACY is layered and gripping, delving into family secrets and the mind of a disturbed killer. If you’ve been waiting for the perfect time to try Sigurdardottir’s work, now is most definitely your moment—THE LEGACY launches a series that I will surely be following for years to come. I wholeheartedly recommend THE LEGACY - and the Children’s House series by extension! I’m delighted to welcome Yrsa Sigurdardottir to Crime by the Book today to talk crime writing, her new series, where she gets all her twisted ideas from, and a whole lot more. 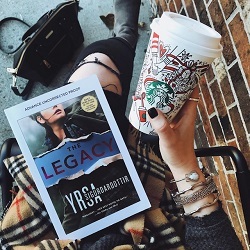 Before we delve into this Q&A: you can read my review of THE LEGACY here, and you can also read an excerpt of the book on CBTB here! The only person who might have the answers to a baffling murder case is the victim’s seven-year-old daughter, found hiding in the room where her mother died. And she’s not talking. Newly-promoted, out of his depth, detective Huldar turns to Freyja for her expertise with traumatized young people. Freyja, who distrusts the police in general and Huldar in particular, isn’t best pleased. But she’s determined to keep little Margret safe. It may prove tricky. The killer is leaving them strange clues, but can they crack the code? And if they do, will they be next? Crime by the Book: THE LEGACY launches a new series in the US - congratulations! Could you tell us a little bit about this new series? Yrsa Sigurdardottir: The new series has been called both the Children’s House series or the Huldar and Freyja series. I don’t know which one I prefer, probably the latter since the Children’s House is not as prominent of a feature in every book as in the first one, i.e. The Legacy. That is done on purpose as I did not want to fall into the trap of being repetitive. But for those that have yet to read The Legacy, this new series follows two protagonists, policeman Huldar and child psychologist Freyja. In The Legacy a young mother is murdered in her bed and the only witness is her young daughter. The crime is rather brutal and gruesome but the police have little to go on as the perpetrator leaves no clues behind, other than the young witness. Since the little girl is unwilling to speak the police must seek the services of the Children’s House, an actual institution in Iceland specialized in dealing with traumatized children. This turn of events brings together Huldar and Freyja and they must put aside their differences following a previous encounter and work together to solve the crime. It becomes increasingly important when more murders are likely on the horizon. This series, be it called the Children’s House series or the Huldar and Freyja series, will include at least six books. I have already written four in my native Icelandic and I have yet to become tired of the character gallery it includes. When I find that I am getting bored with them I will stop writing about them. There is no way that I (or any other author) can write a good book if the fervor for the project is lacking. This is what happened to me following six books in my previous series, the Thora series. I found myself unable to muster up the enthusiasm to continue. So I stopped. Wrote a few standalones while I decided what sort of series I would like to start afresh. Who knows what I will write after I put Huldar and Freyja to one side after some years. Maybe horror, maybe scfi. But never romance and never vampires. But this is nothing for US readers to worry about since there are three books in the series yet to be translated as well as the ones I have yet to write. One thing I can promise the US readers that like The Legacy, namely that book number two really socks a good punch and takes no prisoners. I was very angry when I wrote it and that seems to be my ideal writing state. I should really be on the lookout now for something that antagonizes me since I am about to embark on number five. CBTB: If you had to describe THE LEGACY in three adjectives, which would you choose? YS: Short pause while I Google what an adjective is ….. Hair-raising, intricate and entertaining. At least I hope these apply, this is what I was shooting for while writing. CBTB: When you set out to begin writing THE LEGACY, how much of the series did you have mapped out in your head? Did you know that THE LEGACY would become Book 1 in a series from the very beginning? YS: I knew from the onset that I was going to write a series. I had taken a few years to decide on the major players that I wanted to include and the content matter with regards to the crimes and plots. As a writer one must invest quite a lot of effort into the protagonists and other characters before starting out on such a venture since it is a bit embarrassing to realize too late that you are working with a limp and soggy set of people on the pages. They must have some sort of appeal, be a bit broken or defective and have the potential to develop while remaining interesting and fun, both to write about and to read about. I also knew from the onset that the plots in each book would be different from each other and hopefully meaningful and original (and violent without rolling around in gore, bone fragments and intestines). This is something I am very adamant about. It would be so easy to semi-repeat circumstances that one knows have worked but that in my mind is no fun. To enjoy writing and to stay relevant one must be on one’s toes. Endeavors that are in no way challenging or hard are worthless. CBTB: THE LEGACY follows two individuals - Huldar, a police officer, and Freyja, a psychologist. Could you tell us a bit about these two? Do you see any of yourself in these characters? YS: Huldar is a policeman, totally content being a detective without the added bureaucracy that comes with a higher rank. But due to a series of scandals within his department he is made head of the murder investigation unit. He is a bit out of his comfort zone and this is not alleviated by the complex murder investigation that lands plonk on his desk. Huldar’s private life is a bit of a mess and he has reached a crossroads. He grew up the younger brother to five sisters and is not particularly interested in having a female presence in his life as a result. He does however want to sleep with women and the door to his bedroom has been of the revolving kind. But he has come to realize that he is not fulfilled and begins inching towards more commitment. However, he finds this is not as easy as he originally anticipated. Freyja on the other hand is driven and motivated career wise. She heads a government facility named the Children’s House and has specialized in interviewing children that have been the victims of crime or witnessed it. When the police request assistance in a murder case she complies and has no inkling at the time this will force her to work closely with Huldar, whom she has met before under rather awkward circumstances. Freyja has had an unusual upbringing, she and her brother were brought up by their very religious grandparents following the untimely death of their mother. Freyja has chosen the straight and narrow path to success, her brother the short cut associated with crime and get-rich-quick capers. Yet her personal life is conflicted in many ways. She has just come out of a relationship with someone well off and has absolutely nothing to her name. To make ends meet on a single salary she lives rent free in her brother’s apartment, while he serves time. This is far from her ideal situation but she has no other option. CBTB: THE LEGACY begins with a brutal crime: a woman is viciously murdered in her home, and the only witness is her young daughter. Readers of your books will know that you don’t shy away from injecting your books with dark, shocking scenes - which I love! How do you come up with these twisted killers and crimes? Are they inspired by real cases, or just figments of your imagination? YS: The murder methods and the murders themselves are figments of my imagination. I come about them by thinking about what I would absolutely not want to happen to me or anybody I care about. That seems to be a bottomless pit of awful things. CBTB: One of my favorite things about THE LEGACY is how you do such a fantastic job balancing a number of different plotlines and characters without the reader ever feeling overwhelmed; it’s absolutely riveting to see how these different storylines intersect. How do you make all of these pieces of the story work together? Do you use detailed outlines when you plan your books? YS: I am an engineer used to working in project management on very large projects involving all sorts of complications, i.e. interconnecting phases, technical challenges, constraint considerations, budget issues, legislation/regulation mazes and high-strung contractual relationships. So keeping track of an intricate plot is really a walk in the park. Most often I have the major plotlines worked out in my head but during the writing process I add more to the story to make it more interesting. This addition very often means I have to take a break from writing while I figure out how the newly added stuff is going to work out in the frame of the story. I find that the harder I make it for myself the more fun the book will be for the reader. I guess you could say that druing this part of the process I am “taking one for the team”. YS: I don’t purposely try to get Iceland into my books but seeing as it is the place I’m from and where I live, it seeps in on its own. My books are placed there as you mention and I of course use the elements of Icelandic society, culture and landscape when plotting and coming up with credible, complex plots. Two elements come to mind that are unusual but very useful for crime writers, namely the dark winters and the miniscule, close knit population. In Iceland there is no such thing as a coincidence when it comes to the interactions between people. I do urge the readers of this interview and fans of crime fiction to consider getting to know Iceland up close and personal, while enjoying meaningful discussions, panels and interviews about crime fiction at the Iceland Noir festival this coming November. Regarding the actual crime scene in Iceland, it is not at all inspiring for crime writers. We have few murders (thankfully) and those we do have do not provide enough fodder for as much as a short story. A crime poem maybe. There is never any doubt about who the murderer is. He is the drunk and perplexed guy standing over the dead body with a knife in his hand. But luckily, crime fiction is not about crime that has happened, it just has to seem like something that could happen. Given the wrong people at the wrong time under the absolute worst circumstances. CBTB: When you’re not writing crime fiction, do you also read crime fiction? If so, could you share with us a few crime novels that you’ve recently read and enjoyed? YS: I love reading. My preferred read is crime fiction, good crime fiction and amongst my all-time favorites is Sara Blædel. My most recent read is incredibly enough the Snowman by Jo Nesbo. I really like his work and had read a lot of his novels but for some odd reason skipped the Snowman. Guess this makes me a total crime aficionado loser, because the Snowman turned out to be a hell of a great book that I should have read years ago. YS: At the moment I am trying to make the very hard decision if my next book will be the fifth installment in the Huldar and Freyja series or if I should take a break and write another stand-alone ghost story akin to I Remember You. A large chunk of my readers in Iceland and abroad have been asking me to deliver such a book. I must make this decision this week and I see-saw between the two options. I must get my act together as I am afraid if I continue to be so wishy washy about this I might end up writing a cookbook – which incidentally would be known as the world’s worst cookbook ever if my culinary skills are anything to go by. Many thanks to Yrsa for taking the time to answer my questions so thoughtfully, and to Minotaur for facilitating this Q&A! I received a free review copy of THE LEGACY from the publisher; this does not affect my opinion of the book or the contents of this post. All opinions my own.